This is my most recent knife acquisition. 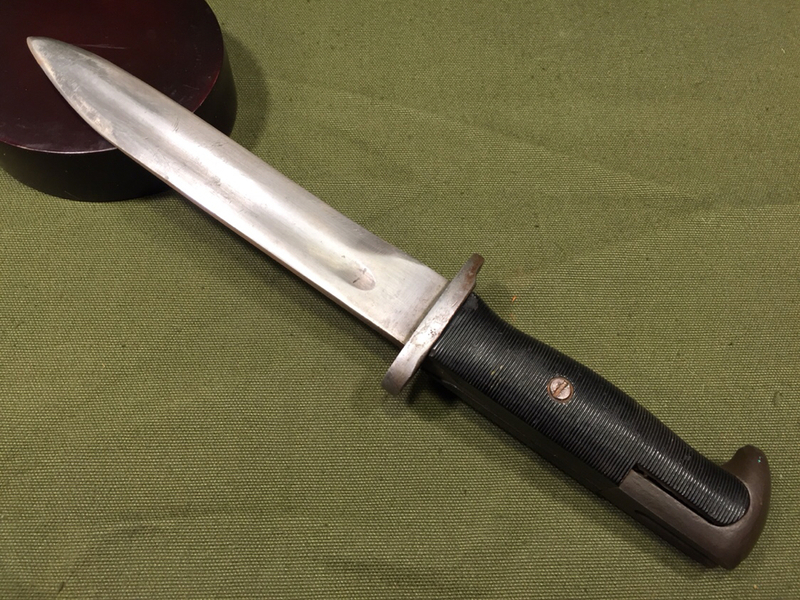 It looks to be a WWII M1 bayonet cut down to a fighting knife. 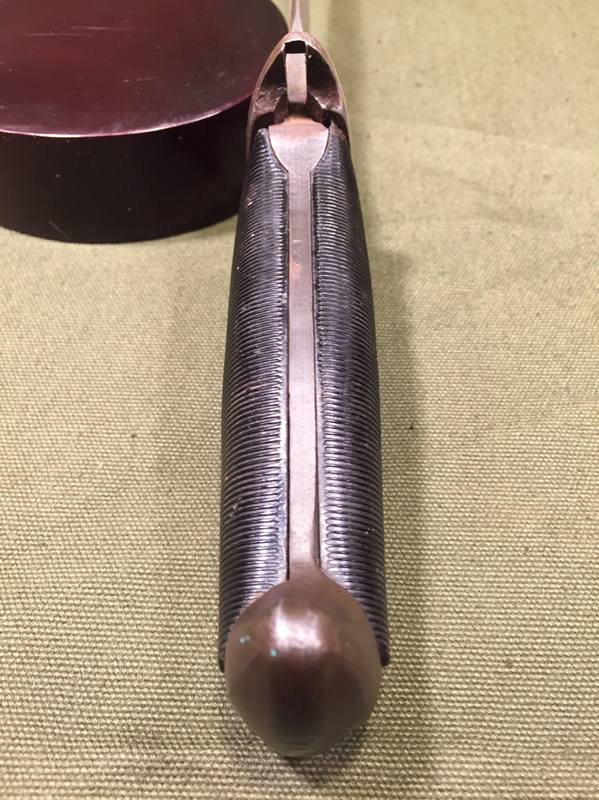 I haven’t found any markings on the knife, and the blade measures 6 11/16in. 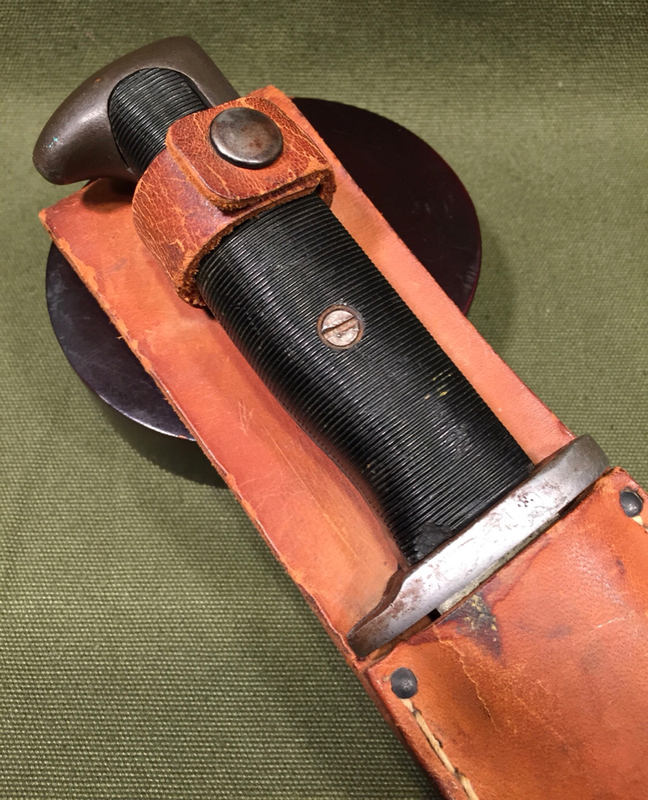 The sheath has no markings except a last name on the front and what looks to be “June 1944” written on the back. 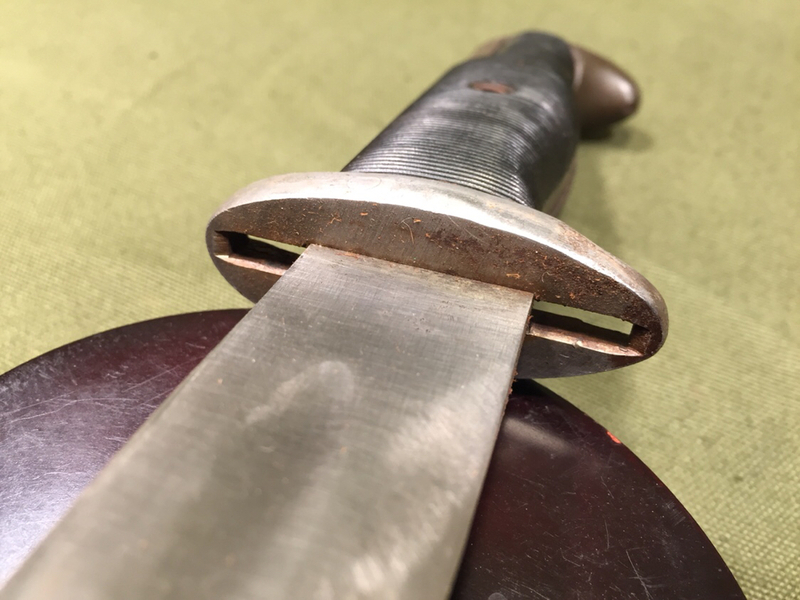 I’ve found a couple similar examples of this style of cut down online so I’m wondering if this is pretty typical of M1 bayonets converted into fighting knives. Edited by McDermut99, 09 January 2019 - 10:52 AM. 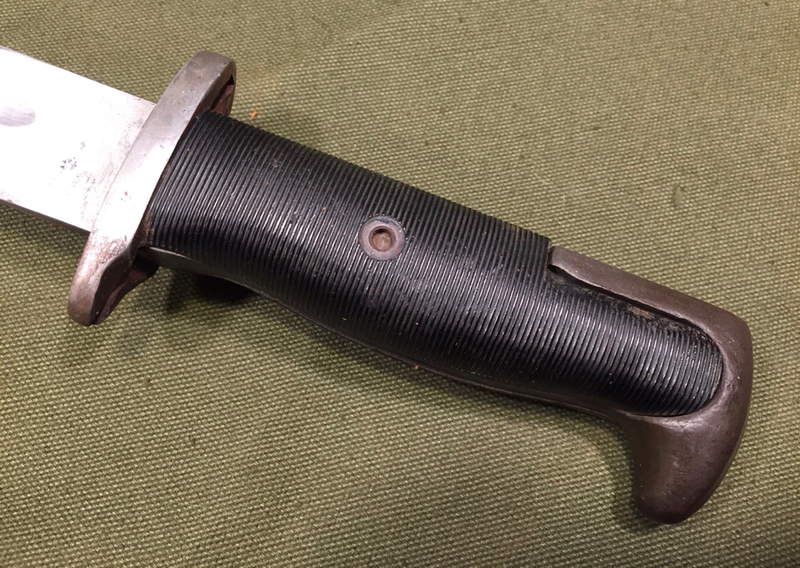 Is it possible that these knives were produced during WWII instead of just post-war? I have one direct from a family member who fought in WWII. 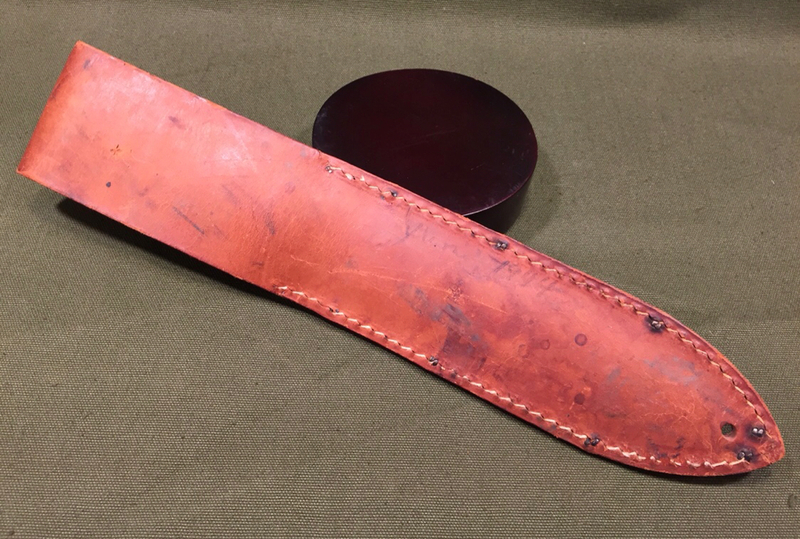 His scabbard is named and the wear on the scabbard matches the knife in which it came in when I received it. I wonder if its possible that he bought it private party and placed it in his scabbard? Does anyone have legit document proof stating that these were ONLY produced post-war? Or is this an assumption? Thanks! 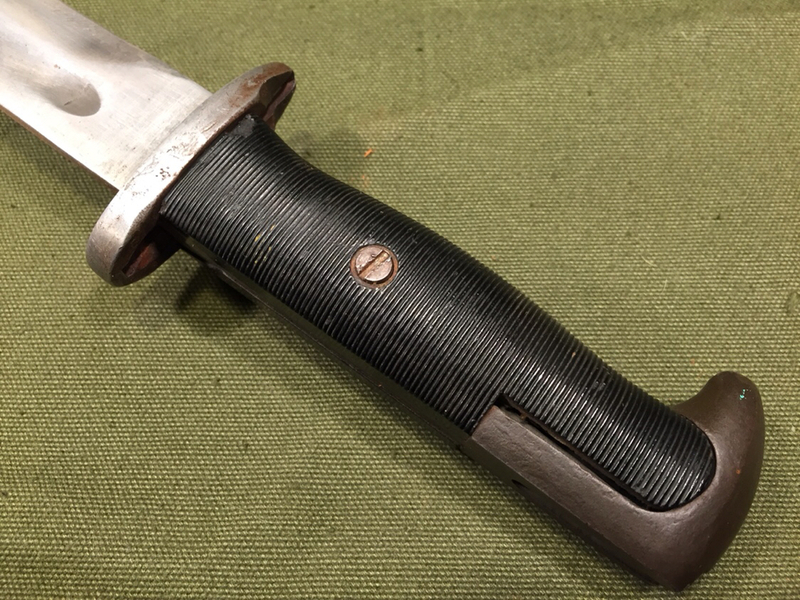 As I recall, the Kutmaster marked knives made from M1 bayonets were post-war builds, probably around 46-47. 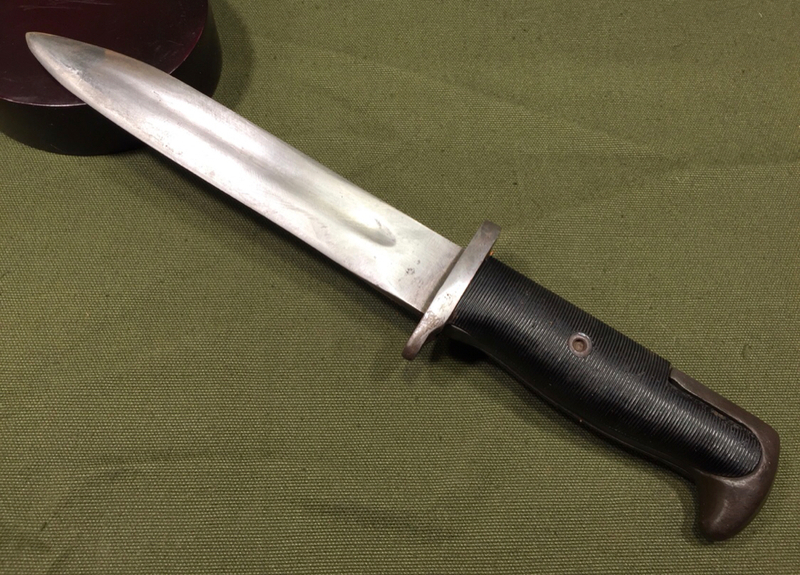 However, other knives from M1 bayonets could have been made in WW2 from broken bayonets or just because. 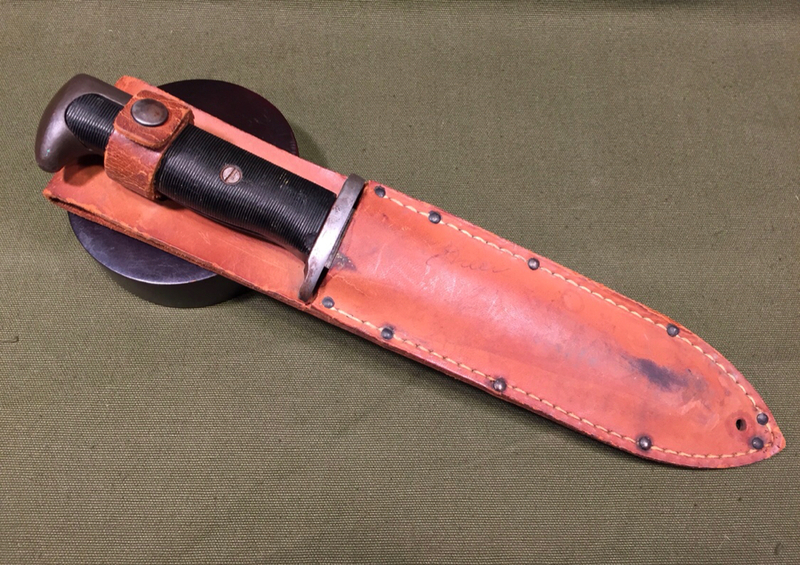 I have had several of these, kept two that were made from Wilde Tool bayonets. 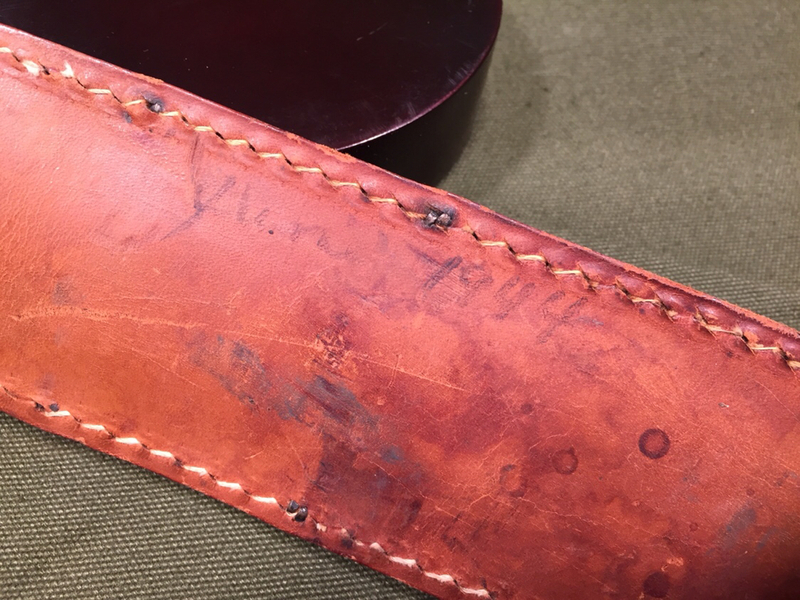 Also, if you take off the grips and look on the underside of the guard, you may see the manufacturer's name. 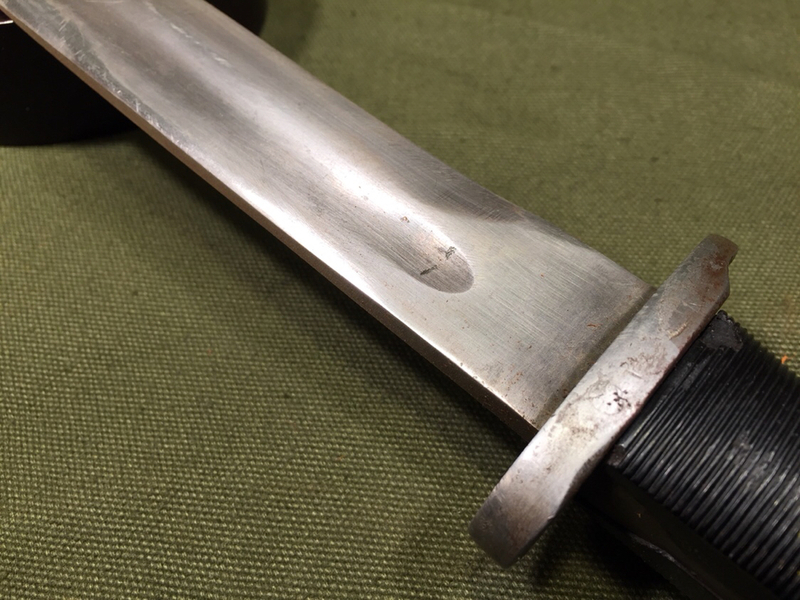 The Wilde Tool marked their bayonet guards (WT) on the upper side, others marked theirs on the bottom so you can only see them when the grips are removed. I bought this one years ago for the grips and internals. Its grown on me since so now Im looking for grips! ". A PAL spear-point is typical. Possibly postwar surplus parts or war production rejects. 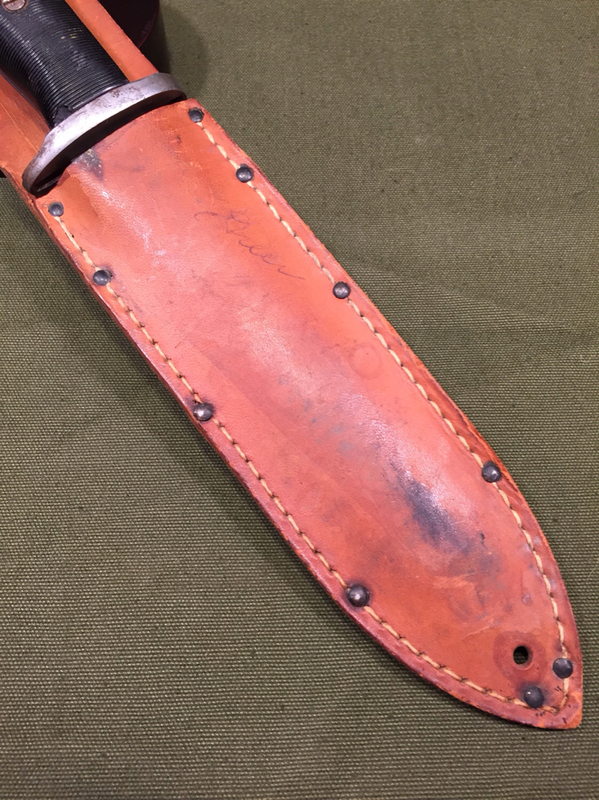 That style sheath also shows up on PAL products with some regularity.